Fairy Tales are stories involving fantastic forces, usually good versus evil, most originating in folklore, mythology, and legend. 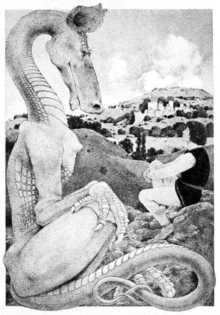 They feature fantasy beings like dragons, dwarfs, fairies and talking animals. They aren't just for kids. In fact, many are complex morality tales; some are graphic or morbid, and shouldn't be read to children at all. We recommend previewing stories before reading with your children. 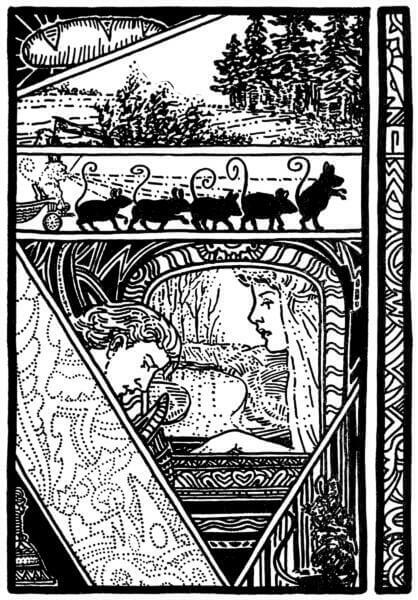 How are Fairy Tales different from Fantasy and Science Fiction? 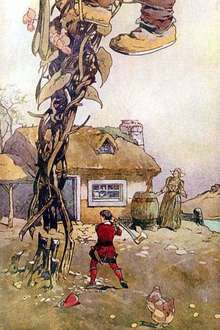 Most Fairy Tales occur in the past, usually close to home. Some begin with "Once upon a time" and end with "and they lived happily ever after, THE END" but not always. They often feature magic or enchantments, but are unlike modern Fantasy, in which new worlds are created far from home (works by J.R.R. Tokien and C.S.Lewis). 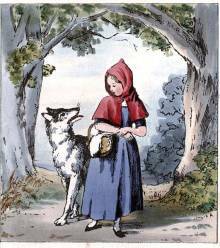 Fairy Tales tend to occur near home (Little Red Riding Hood was walking distance from her grandmother). They differ from Science Fiction, which usually occurs in the future and involves newfangled technologies, space and time travel (again, far from home). 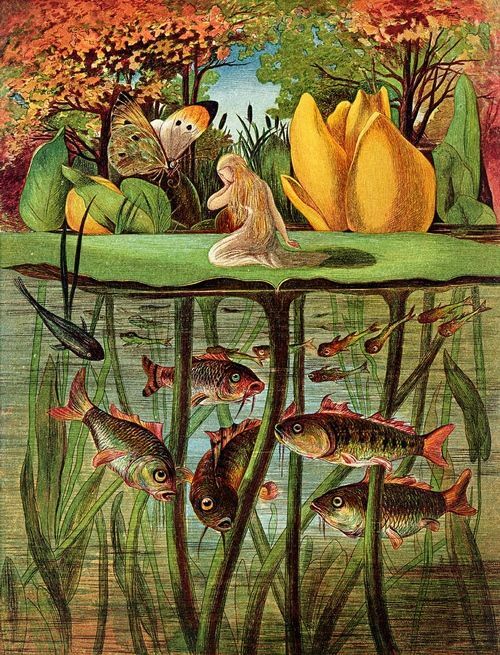 Folk Tales and Fables are types of Fairy Tales. 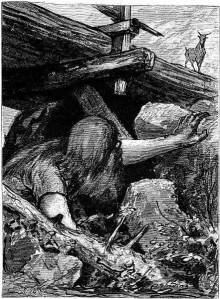 A Folk Tale is a traditional story shared by a culture, passed on from one generation to the next. 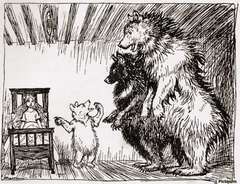 A Fable offers a moral lesson, usually involving animals and primarily geared towards children, such as Aesop's Fables. 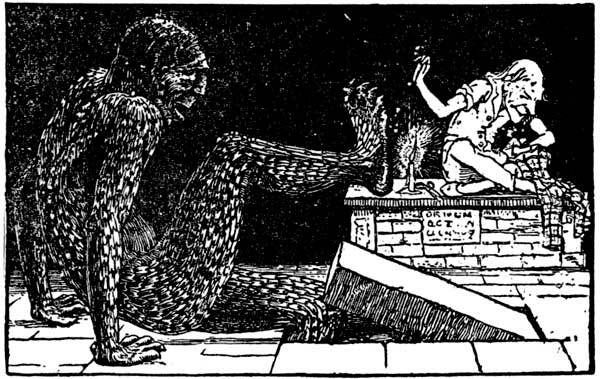 Some Fables are intended for older students and adults because they pose complex ethical questions, employ ironic twists, or are cautionary tales with elements of Gothic Horror. As you can tell, what we call "Fairy Tales" covers a lot of literary ground. They appeal to all ages and all cultures. Common characters and plots have been adapted in different countries, modernized for new generations, resulting in an ongoing shared global literacy. Will the prince find the pretty girl who dropped the little glass slipper? "A kindness is never wasted." 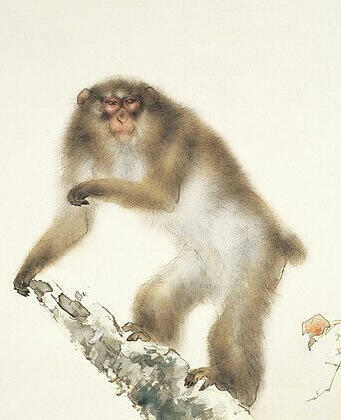 This Japanese Fable is about a clever monkey with a very clever plan. This lovely mermaid is willing to give up her fishtail and immortality in exchange for a human soul. Enjoy the magic of Elmer Elevator's adventures rescuing a baby dragon on Wild Island. 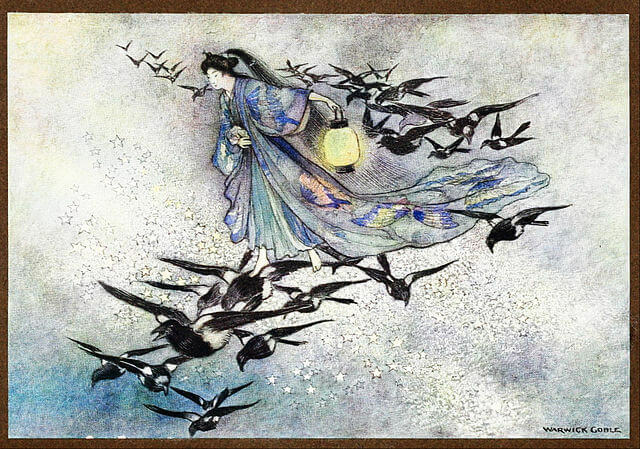 This Chinese Folk Tale explains why the moon is so bright and happy! An unlikely conversation between and old oak and a mayfly. "What wouldst thou have? I am ready to obey thee..."
A poor slave named Androclus was not going to be like his cruel master. Old Riddler and Huckleberry are gnomes who teach humans through riddles. Hans just doesn't fit in being a creature half-human, half-hedgehog. 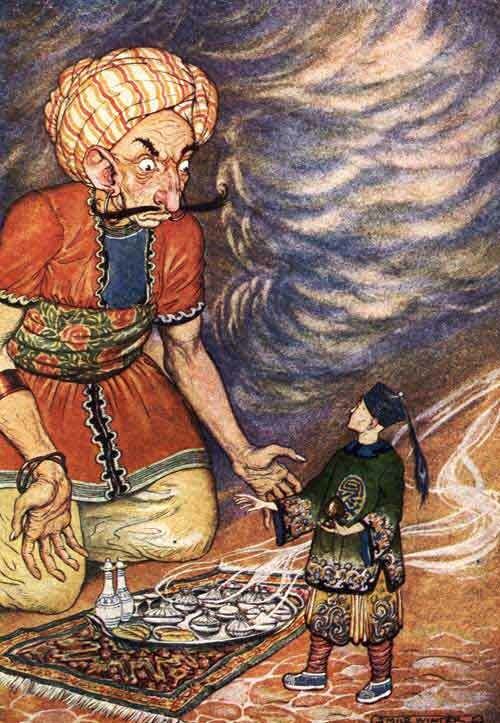 A Celtic fairy tale about a tailor who makes a vest and pants for a giant. A poignant story about a girl homeless, cold and alone, but warmed by memories of her grandmother. 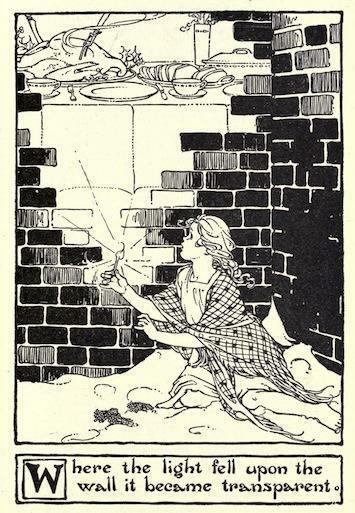 Wilde's fairy tale is an allegory, where a hidden meaning is revealed through the telling of the story, and reveals the author's spiritual journey. Confronted with an impossible choice, this story leaves the reader questioning which is better: free-will or determinism? Poor John befriends a magical companion to help him negotiate a deadly courtship with an evil princess. 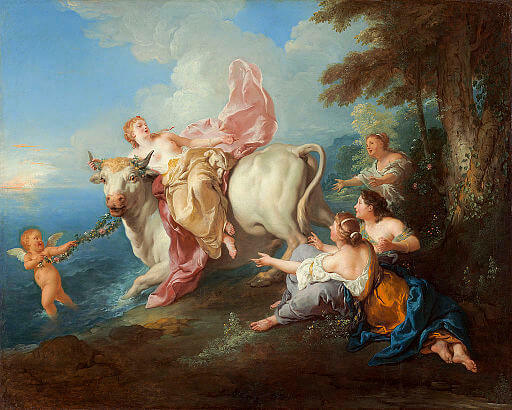 Young Perseus sets out to secure the head of the Gorgon Medusa in order to win the Princess Hippodamia. Bierce applies his wit and cynicism in this collection of instructive allegories using the grotesquerie style. He is best known for his vivid Civil War stories such as An Occurrence at Owl Creek Bridge. This Hindu fairy tale from the Sanskrit asks, "Do you think there was anything good in the character of Hari-Sarman?" 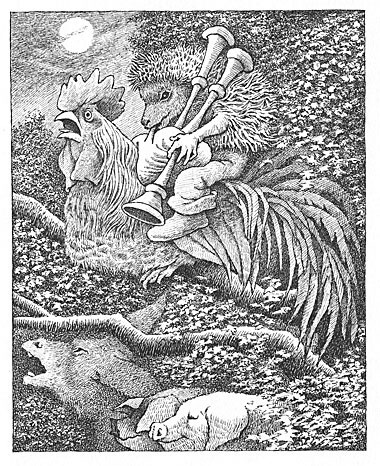 Grown-ups might also enjoy Guy Wetmore Carryl's fairy tale and fable parody poems, and George Ade's Fables in Slang . Differentiate these ideas for your grade level, and check our Useful Links for sample lesson plans. Select and read several stories (in class and encourage at-home online reading using our story links). Point of view: who's telling the story, discuss how it might be different from another character's perspective. Moral or take-away lesson: Identify the story's purpose, message, and audience (age level). 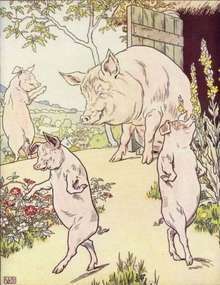 "Fractured" Fairy Tales: compare The Three Little Pigs with The True Story of the 3 Little Pigs! by John Scieszka. Writers workshop: Have students pick a traditional fairy tale and write their own, either from an alternate perspective, or as a contemporary story (where iPhones and debates about global warming exist). Tweet about it: Write a series of tweets to tell the story, one tweet at a time. Optional video or in-class performance: Create media coverage, be a reporter "on the scene" of a familiar fairy tale, interview the characters to demonstrate different points of view. 1. Identify the characteristics of Fairy Tales, and how they differ from modern Fantasy and Science Fiction. 2. Fairy Tales are told in all cultures around the world, and passed from one generation to the next. 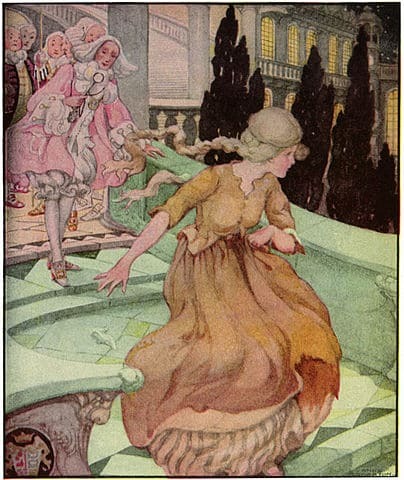 Compare two Cinderella stories: Cinderella (German), with the Celtic version: Fair, Brown, and Trembling. Highlight their differences, and discuss the cultural distinctions in each story. 3. 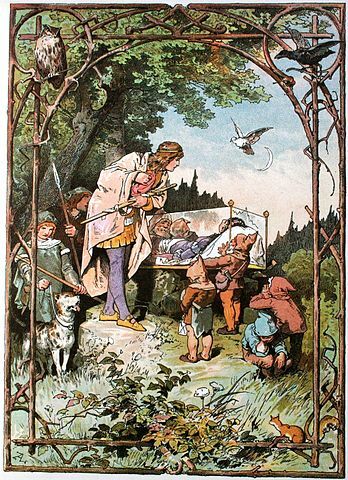 How have fairy tales changed over time? Take the scary Grimm's version of Little Snow-White for example, and compare it to the 2012 movie, Snow White and the Huntsman. Comment on the roles of special effects and graphic violence in the modern-day movie, compared to the graphic elements of hate and death in the story. Bonus: discuss the portrayal of the jealous Queen in Disney's 1937 Snow White movie. 4. 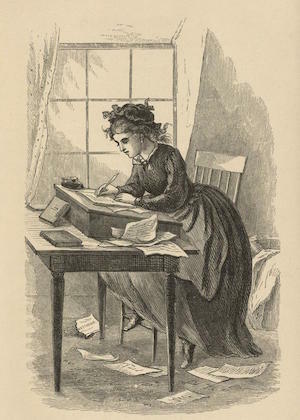 Identify a scary fairy tale inappropriate for small children, with graphic violence, such as The Brothers Grimm's The Girl Without Hands or The Juniper-Tree. Re-write the story so it can be told to a 3 - 7 year old. What elements did you change? 5. Consider a modern creator of gothic fairy tales ( Tim Burton or Stephen King ). Provide examples of either author's works, and how they fit in the fairy tale genre. 6. Some fairy tales are not straight-forward "morality tales." They do not have clear "good" and "evil" elements, such as Frank Stockton's story that leaves you hanging, The Lady, or the Tiger? Discuss how its theme of determinism versus free will make this a "grown-up" allegory. 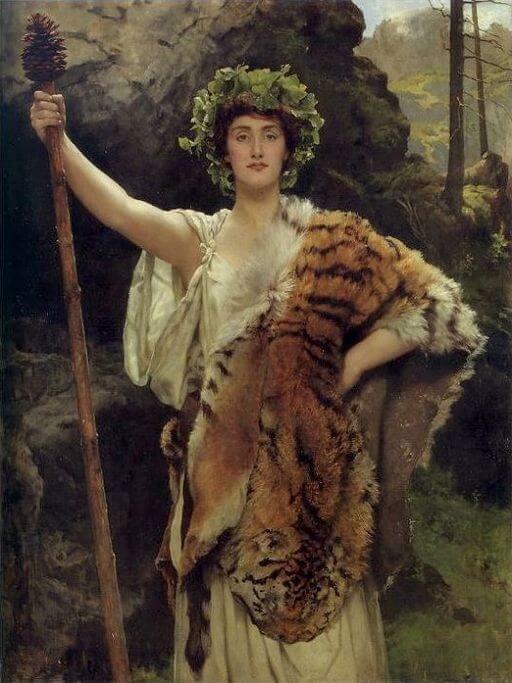 [Visit our helpful The Lady, or the Tiger? Study Guide]. 8. 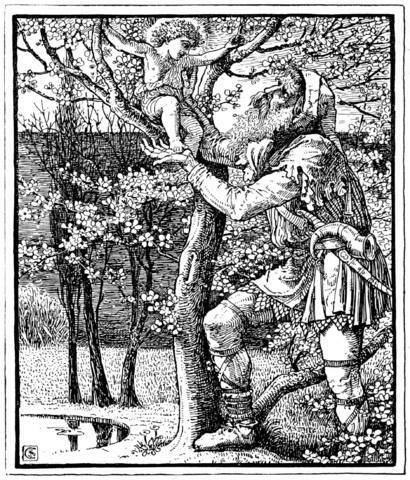 Read The Selfish Giant by Oscar Wilde, discuss its surface story, and its deeper meaning as a parable, in the kingdom of God, where the giant finds redemption by the Christ child. Here's a The Selfish Giant Study Guide to help you out. 9. Choose two of Ambrose Bierce's Fantastic Fables. Identify their "lessons" and ironic twist, featured in many of his tales. 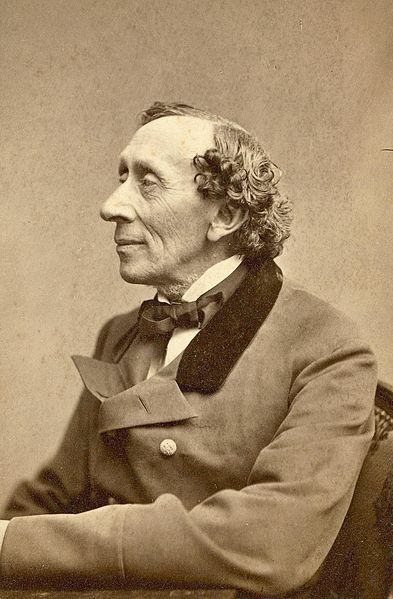 How do these seemingly absurd tales compare with his better-known Civil War Stories? Use our A Horseman in the Sky Study Guide for some ideas, then read that story.